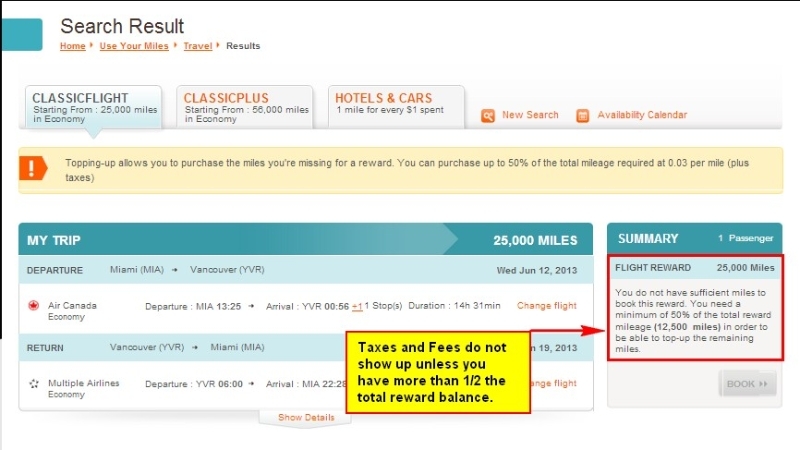 This is a post in a series on the basics of the Aeroplan frequent flier program. A frequent flier program is only valuable if you can use the points to get something back of value. The biggest frustration people have with the Aeroplan program is they claim they can never find availability for a flight they want to use their miles for. In this article, we will see if we can find the best ways of finding which flights are available for award redemptions. As mentioned earlier, Air Canada is a member of the Star Alliance. The advantage of being in an alliance is the ability to redeem miles from one member airline’s frequent flyer program for use on flights of partner airlines. For example, you can redeem your Aeroplan miles (Air Canada’s frequent flyer program) for a flight on United (a Star Alliance partner). Airlines have limitations on how many seats on each flight can be purchased using miles. There may be only 3 or 4 or maybe 10 seats on a specific flight available for miles redemption, and once those seats have been purchased using miles, the only way to fly on that flight is by purchasing a ticket using cash. 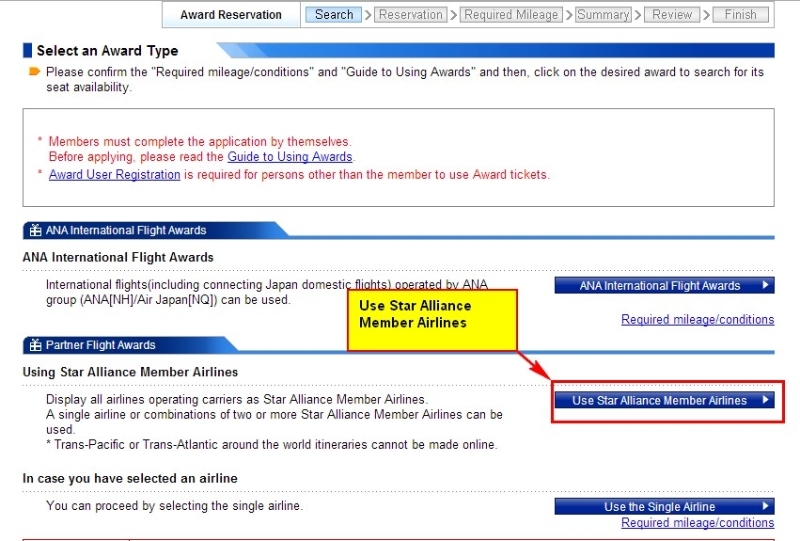 There is usually one pool of “award seats” that is made available to all partner airlines. Some partners might have more award seats available for their own frequent flyers, but in general, Aeroplan miles should not get you access to more partner seats than United miles, for example. 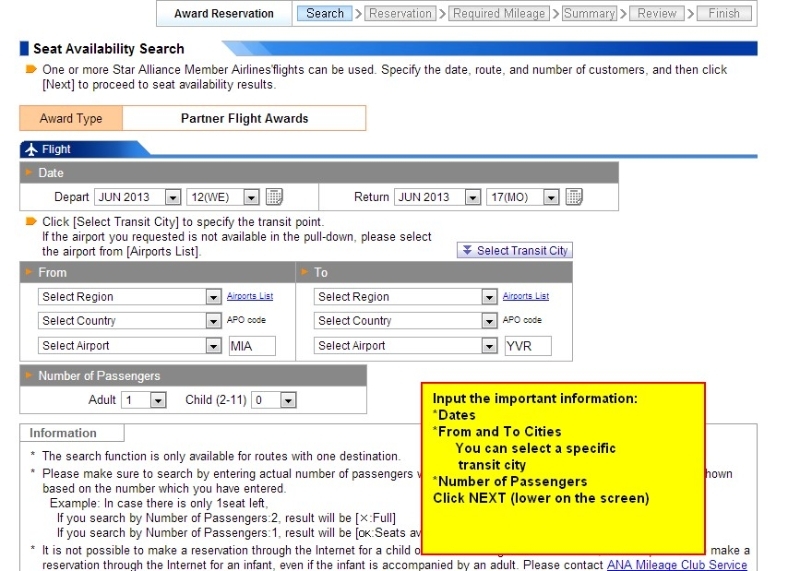 Knowing this, it is useful to know how to best find out which seats in the pool of award flights are still available. Correction – The above crossed out statement may or may not be true. The experts suggest that award inventory is more dynamic than I understood it to be. In the next sections of this article, I will show you how to piece together your itinerary routing from the various search engines. Once you know the routing that you want to take, you should try to book it on your own frequent flyer program’s website, in our case Aeroplan.com. 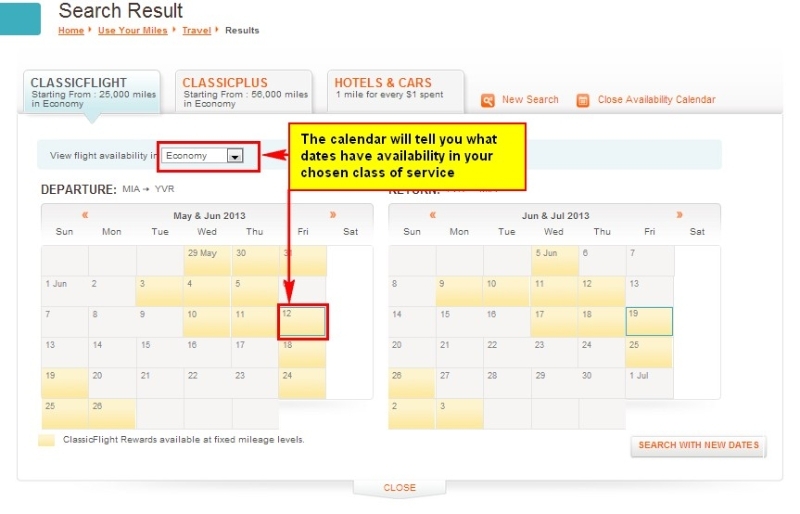 If the flights that you want are not bookable on Aeroplan.com, then you will have to call up the agent and have them book it for you. They will try to do the search for you, but knowing which flights are available allows you to spoon feed to the agent the specific flight numbers for each leg to ensure they don’t give up on you (which they will try to do). Aeroplan’s phone number is 1-800-361-5373. It is important to note that Aeroplan bookings done over the phone will incur a fee of $30. I have never successfully gotten this waived. The first thing most people would do is look at their own frequent flyer program’s website and search for availability. This may or may not give you the best results. US Airways’ award flight search engine, for example, only shows award availability for US Airways operated flights, and none of the partner flights. The best thing to do is to look through the best search engines to know what your flight options are. I always suggest looking for your routings for each one-way independently. Since they will be flown completely independently, this makes sense. It is also a good idea to understand that the airline inventory is done leg by leg (each connection independently). That means that if you are ok with not doing direct flights, you can piece together your itinerary leg by leg. I’ll write a more detailed post on hacking this in the future. I prefer to use the United search engine the most since I feel that it has a very nice interface, gives the most useful information on a single screen and it is much easier to search leg by leg. Most importantly, it doesn’t force you to logon using your account number. 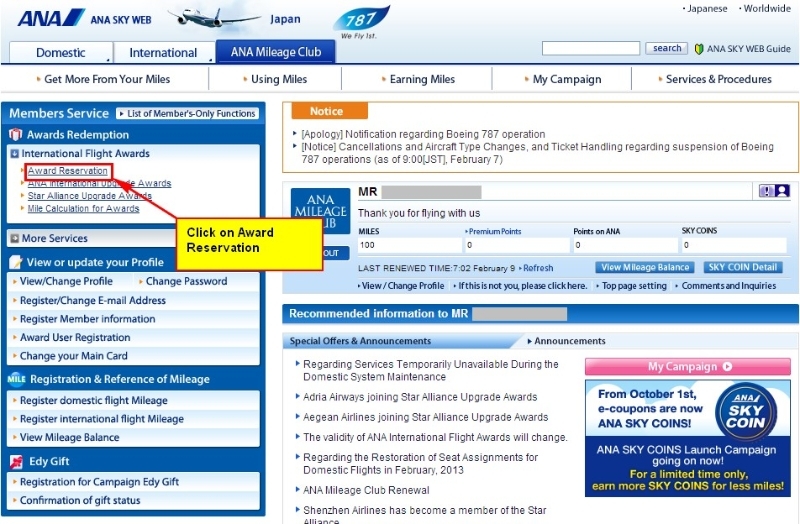 The 3 search engines that are good for finding Star Alliance availability are: United.com, Aeroplan.com and Ana.co.jp. Each of the search engines has its own nuances and some are smarter than others. Each of them will show, within their own program’s limitations, the flights that are available, but may not give you the best routings or list all of the routings available. In the example shown, we will see how the different search engines solve the problem of getting someone from Miami area to Vancouver from June 12 to June 19. 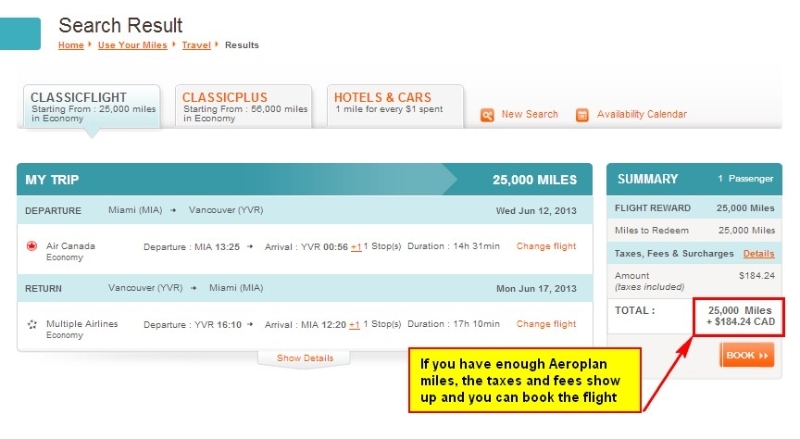 Aeroplan tends to have a decent search engine, giving you the ability to search as much as 365 days out. It tends to give accurate results and reasonable suggestions for most routes. 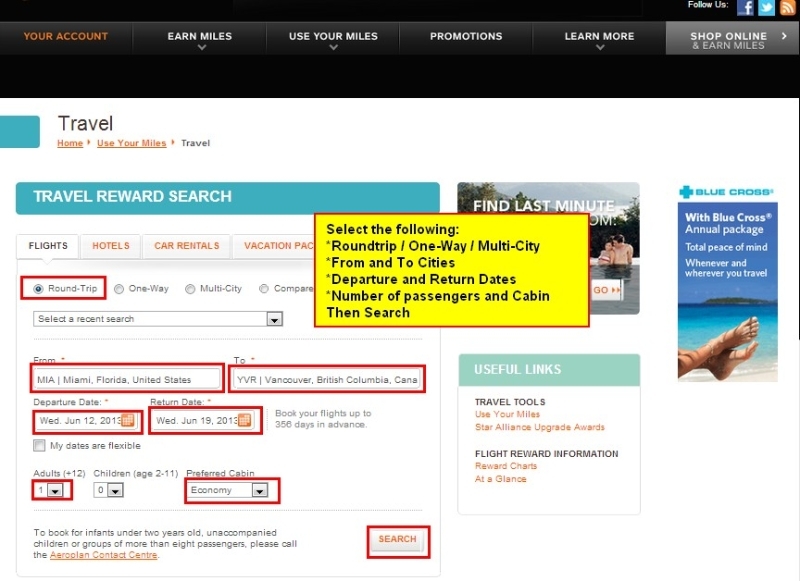 Using Aeroplan’s booking engine to find availability to redeem miles from other frequent flyer programs may not be as useful since Aeroplan has more lax routing rules. Also, as mentioned earlier, Aeroplan’s taxes and fees are usually higher than everyone else’s so using the fee amounts as a basis for the fees actually paid might not be a very useful exercise. I find that Aeroplan is tougher to use when you have more flexibility and want to look at all of your options. 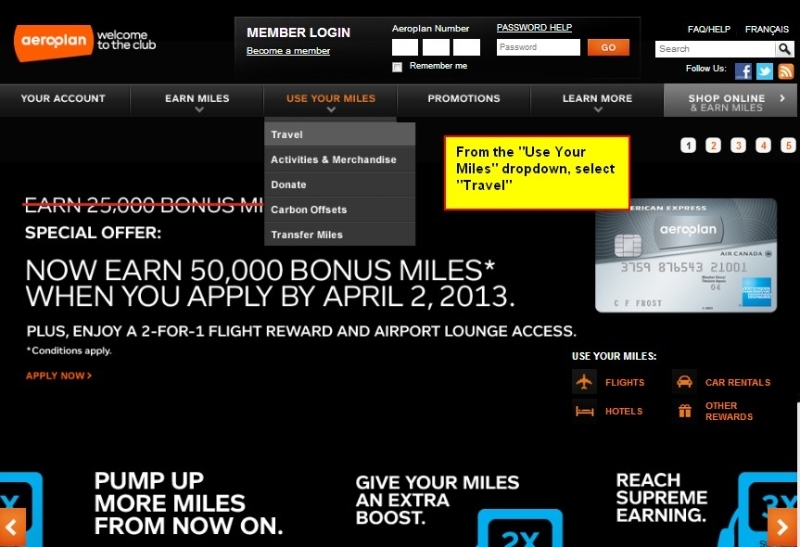 If you are redeeming Aeroplan miles then you can just book through this engine and you are done. If you are using a different frequent flier program, you will need to take note of the specific flights that Aeroplan.com has given you as a legitimate itinerary. Call your own frequent flyer program (for example US Airways Dividend Miles) and have them book your on these flights. 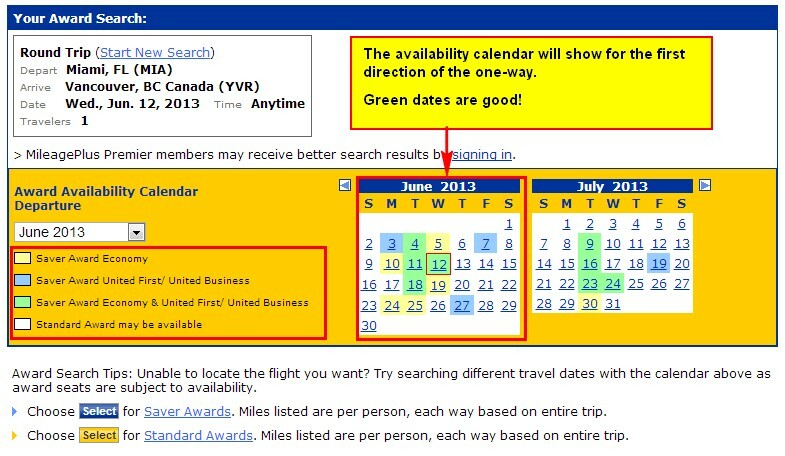 I find United.com to have the most naturally feeling interface for searching award availability of all the programs. United.com shows award availability for most partners and it shows the taxes and fees very clearly for each portion of your flight. This way, you can easily compare which flight is going to cost you more in taxes and fees if you were to book the flight using United miles. 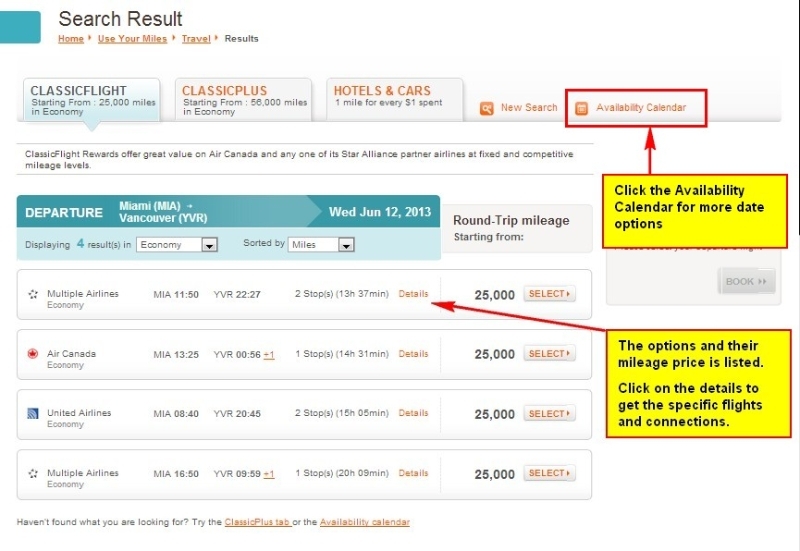 If you are booking this using Aeroplan miles, unfortunately you will have higher fees than what is shown. That being said, if United.com show routing A as having higher taxes and fees than routing B, Aeroplan will likely also have routing A with higher taxes and fees. The thing that I find most useful with the United award booking engine is the calendar at the top which clearly shows when there is availability and when there isn’t. When booking an award flight, flexibility is key, and the calendar easily shows you when there is and isn’t availability. Something to note with United MileagePlus miles is that United releases 2 pools of award flights. The Saver Awards and Standard Awards. 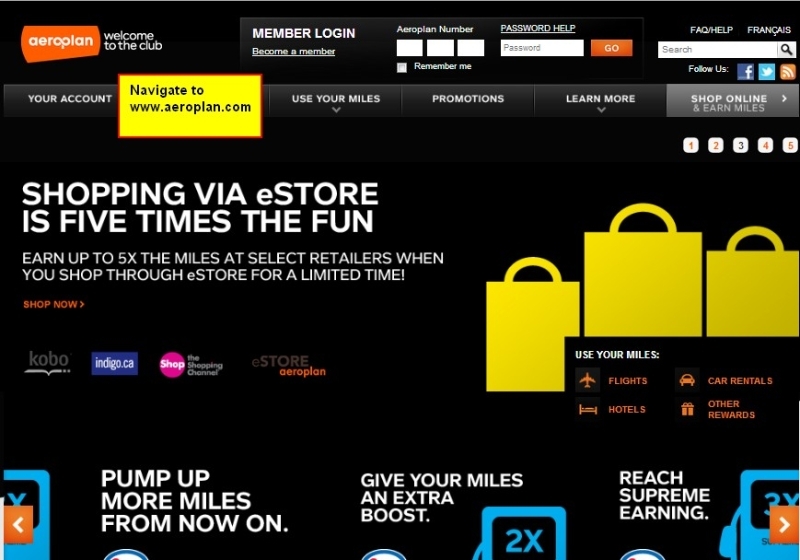 Saver Awards are the only ones that are available for redemption using Aeroplan miles. Standard Awards are available for redemption using United miles at a higher redemption rate. Now that you know the flights that you are interested in flying on. 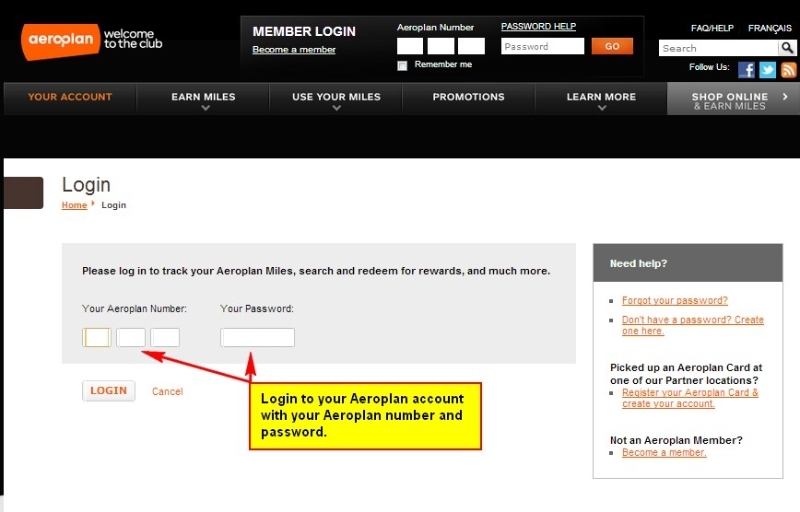 Assuming you are trying to redeem Aeroplan miles, you can try to piece this award together at Aeroplan.com or you can call Aeroplan.com. Tell the phone agent the flights that you are interested in flying and they will price your award. ANA is a Japanese airline that is a member of the Star Alliance. Their award flight search engine is probably the best one available freely. The information shown almost always shows up-to-date information and it is very easy to query different city pairs in a single screen. Award availability is shown 330 days out, which is a limiting factor. 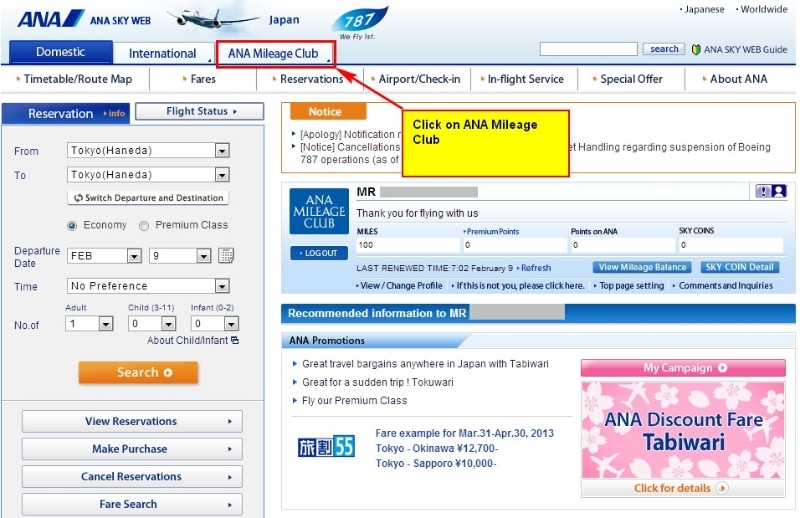 A major issue with this search engine is that you must be a member of the ANA Mileage Club with some miles in your account. I was able to get 100 miles in my account during a promotion early in 2012 so I am set. If you don’t have any miles in your account, you can transfer miles from various hotel programs. I would keep 100 miles in there to be safe. The Points Guy claims that 3 miles was not enough to trigger the search tool and that transfers take up to 48 hours to post. 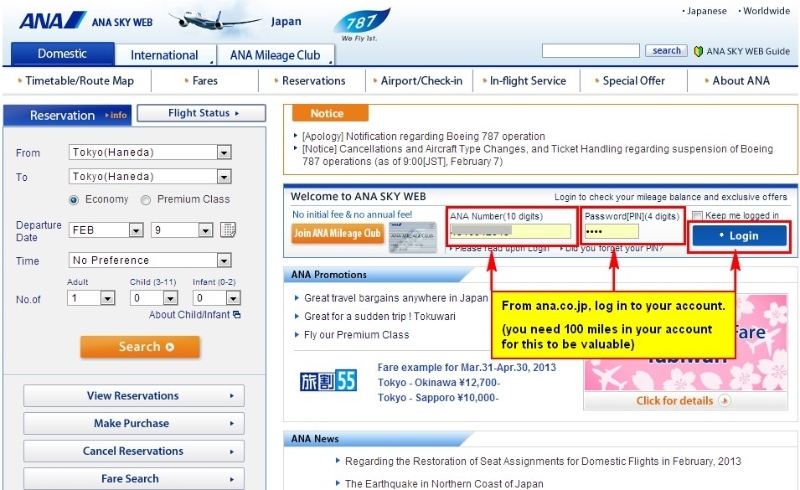 The Wandering Aramean has created a script to work around this and allows you to use the tool even if you have no miles in your ANA account. The ANA routing rules are significantly tighter than United or Aeroplan. 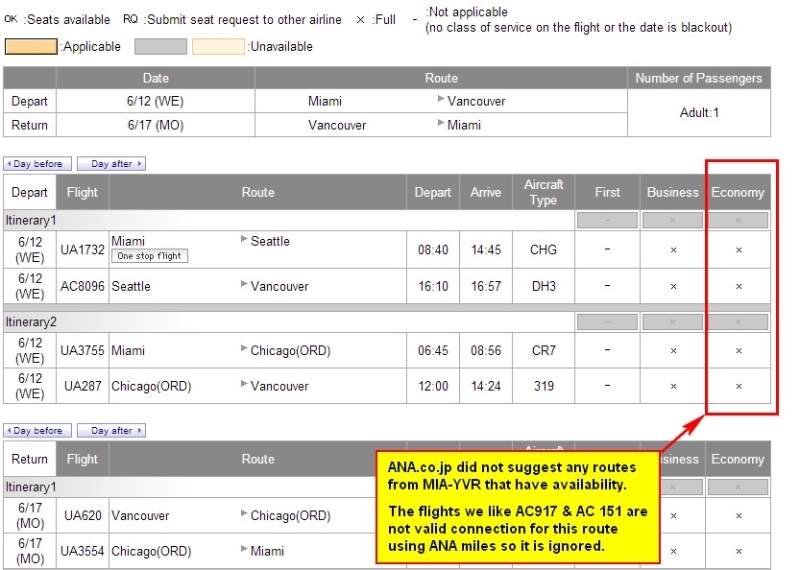 This means that ANA is likely to not be very useful for picking connecting flights that may be valid as an itinerary. 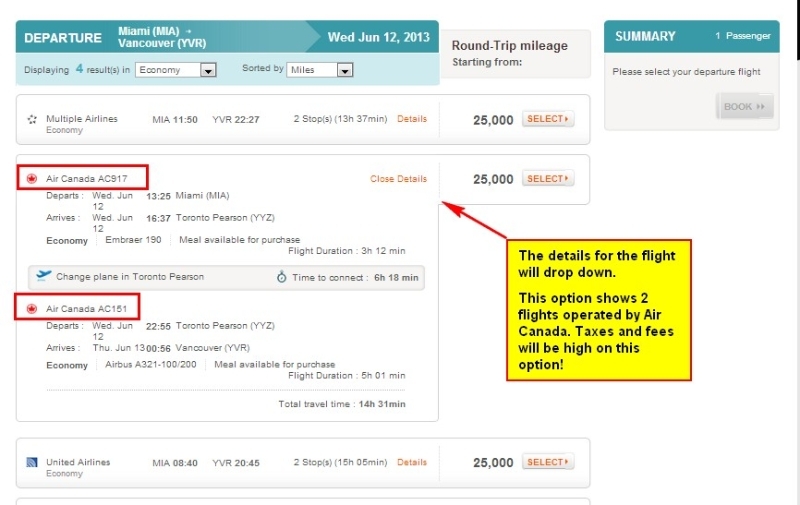 In the example screenshots, I have shown that both Aeroplan.com and United.com suggested the route MIA-YYZ-YVR on flights AC917 & AC151. 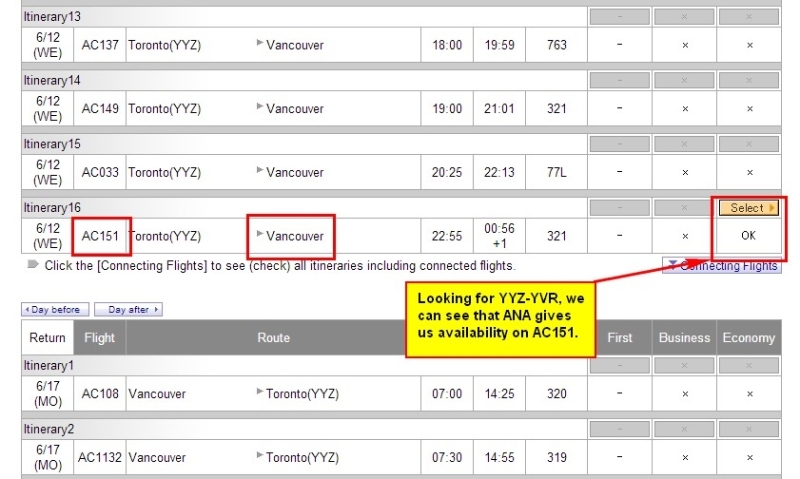 ANA.co.jp shows availability for AC917 when searching for MIA-YYZ and shows availability for AC151 when searching for YYZ-YVR as expected. Unforatunately, when searching for MIA-YVR, it does not put the 2 together as a legitimate suggestion. This severely limits the value of this as a search engine. 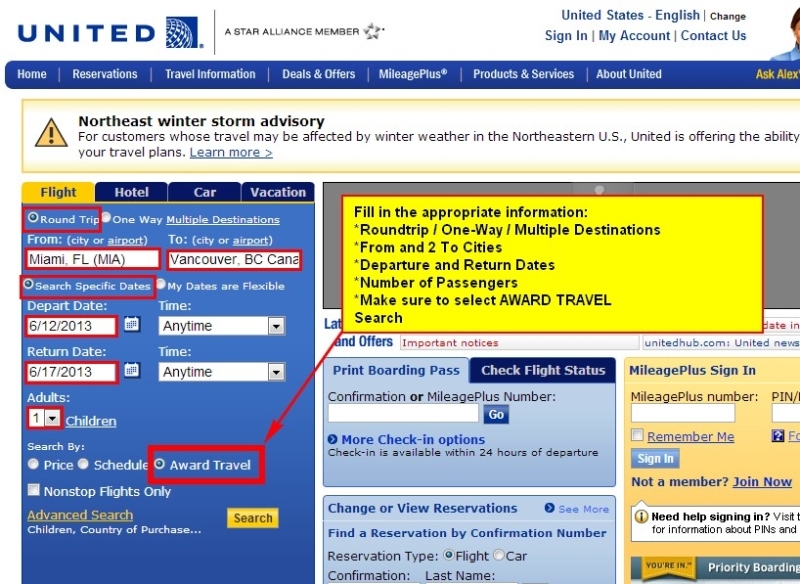 The experts suggest that both the paid tools of Expert Flyer and KVS simply reorganize the information that is available for free at United.com. There may be limited value in paying for these tools. Expertflyer is a great tool whose power is that you can have alerts set for you. 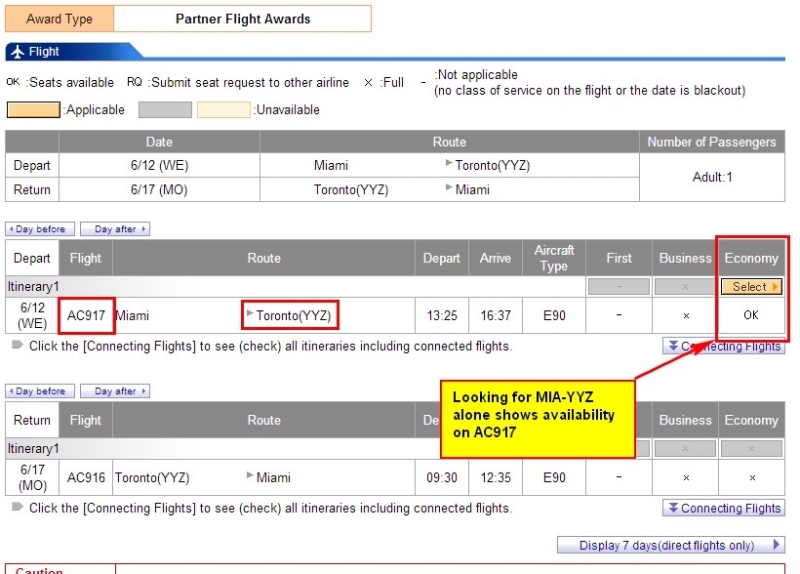 When award availability opens up for a particular flight, route etc, you can be informed. This is great for if you know that you are going to be traveling from Toronto to Vancouver at Christmas when award flights sell out in July. Expertflyer also will let you know when specific seats are available. The Points Guy does a great job showing you how to use this tool. The KVS tool is another very robust search tool. I have used it in the past and it was a great engine for finding my award availability and the layout is quite nice for piecing flights together and seeing more information on a single screen. There is a bit of a learning curve to using it. I think if you want to just see what kind of complicated itinerary you can create, this could help you with that. Personally, I use the United, Aeroplan and ANA search engines since they provide all the information I need for free. Most of the It is usually a good idea to look for each way separately, and potentially each leg independently. Next time you are looking to book an Aeroplan award chart, make sure you go through the correct search engines and find the best routing you can. Your data about ExpertFlyer is incorrect. They are using the United website as one of their sources so you’ll see inventory from all *A partners that United shows. Ditto KVS, which is just showing you the United, Aeroplan or ANA sites’ data. That you are paying to access the same data United gives away for free is your choice, but that’s what the situation is. Also, your understanding of how inventory for award seats is allocated to flights is not correct. There are not a set number of seats which, once sold, deplete the inventory forever. Thanks Wandering Aramean. The insight is very much appreciated. I have made updates that reflect the information you have shared.